I’ve been thinking out loud about microtransit for a week now, and have processed lots of great comments. But if you comment, don’t just respond to this post. Go to the detailed posts that really lay out the argument: Is microtransit an actual idea? Does that matter? And most importantly: Is microtransit capable of being a sensible investment that can be justified from widely accepted goals of public transit? To sum up, here’s what I think we know. As always, I’m open to enlightenment by anyone who reads these posts and wants to engage my argument. I’m not contrarian for its own sake. My job is simply to help transit agencies make clear decisions whose consequences they understand. The context for this thinking is pre-automation, so labor cost is a dominant issue. The question is whether transit agencies should subsidize microtransit, which implies that microtransit is in direct competition for funds with other possible transit agency investments. Thus, the question is about the public interest and benefits to the taxpayer. flexible “on-demand” routing, an idea that transit agencies have known about, and experimented with, for decades. subsidies of privately provided services by a transit agency, which has been happening for decades under a range of contracting arrangements. the use of apps for hailing, navigation, and payment. Only the last of these is new, but there’s reason to doubt that the apps, by themselves, create a radically new business model. (Evidence that they do could include Uber being more profitable than non-cartel taxis were, controlling for labor costs.) In any case, the statement “transit agencies should consider microtransit” can be translated as: “Transit agencies should use apps to improve the efficiency and customer experience of their flex-route services.” Put that way, it’s uncontroversial and hardly justifies all the hype. In transit, before automation, operating cost is mostly labor. Even if you race to the bottom on labor costs, as Uber has done, you won’t save more than 50% off of transit’s big bus operating cost. You still need one driver for every vehicle. That’s why passenger transport services, unlike Amazon, don’t become much more efficient as they get bigger. That means efficiency in transit is the ratio of passengers to drivers. Microtransit, by definition, is a low-capacity service, carrying small numbers of people at a time. This is, by definition, a way to serve very few people at very high cost, compared to fixed routes. And as soon as we talk about transit agencies funding microtransit, we are saying that they should do this instead of adding fixed route services that are proven to attract vastly more riders and serve them vastly more efficiently (see table in this post.). A common rookie investing mistake is to buy a company’s stock solely because you love its product. Successful ventures don’t just provide a good product or customer experience. They do it in a way that’s financially viable. In the private sector that’s measured in profit. In the public sector the equivalent idea is some kind of cost/benefit or “bang for buck” ratio. Microtransit’s performance on those measures is generally worse than terrible, just as the performance of flexible-route services has always been. Talking about microtransit’s superior “customer experience” doesn’t change that fact. For example, a recent Eno Foundation report promoting microtransit cited two pilots that achieved less than 1 (one) passenger trip per vehicle service hour. A decent fixed route bus does 20-100 and most terrible fixed routes do at least 10. The most upbeat data Eno’s report could find was a microtransit pilot in Newark, California that achieves 3 passengers/hour, but this is down from 7 passengers/hour on the fixed route it replaced. The transit agency lost 20% of the old route’s ridership when it made this change. And that is the most hopeful data point that microtransit boosters can cite. Transit agencies not only have decades of experience with low-performing flexible route experiments. There’s also a purely geometric argument for why fixed routes perform so much better in almost all cases. It’s about the way the customer’s walk to a fixed route stop allows the bus to operate on a straighter path that’s more likely to be useful to more people. The correlation between fixed route performance and the straightness of the route is very strong. Microtransit is meandering by definition, as it has to roam a large area and pick up people who are not in any kind of linear path. Technology never changes geometry. Because of its low productivity, transit agency funding of arises from a coverage goal, which is the opposite of a ridership goal. Coverage means “predictably low ridership service run for a non-ridership reason,” typically access to places where the built environment makes high-ridership service impossible. The microtransit boosters assume that agencies must run lots of coverage service but this is actually an issue that should be debated; many agencies I’ve worked with have shifted their priorities the other way. This also means it is incoherent to cite a desire for higher total ridership, or disappointment with declining ridership, as a reason to invest in microtransit. If you want higher ridership, you invest in services that are physically capable of carrying lots of riders and have a proven ability to attract them when run at sufficient quality, like big-bus fixed routes. Microtransit is about taking both funds and political attention away from the services that are actually relevant to ridership at a large scale. On average, microtransit seems to trigger an upward redistribution of the benefits of public subsidy. This is a Very Bad Thing for the public sector. It is not hard to make some low-income or social service advocates like a microtransit idea from the customer perspective, and see it as liberating for their clients, but if it isn’t financially viable at a large scale, it won’t matter to the vast majority of disadvantaged people. If a transit agency invests in a microtransit service hour for 3 people instead of a fixed route service hour for 30 people, solely to give those 3 people a better “customer experience,” we must ask “why are these 3 people so special?” Why shouldn’t they pay the full cost of their superior customer experience, rather than expecting the taxpayer to subsidize it? More on this line of thought here. Unlike private businesses, U.S. transit agencies operate under intense scrutiny about equity outcomes. Civil rights and environmental justice tests are much more extensive for transit agencies than to the private sector, largely because they are conditions of Federal funding that these agencies rely on. We have not begun to see the blowback against microtransit from environmental justice and civil rights perspectives, but if fixed routes are neglected to fund microtransit investments, the math is potentially there to justify it. 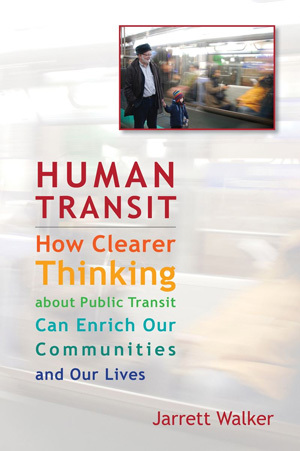 The microtransit movement, like so many fads that have blown over transit agencies during my 25-year career, appears to be an example of elite projection, the tendency of fortunate people to assume that whatever they personally like will be good for society as a whole. An urban elite has seen their lives transformed by ride-hailing services, and understandably wants to believe that this transformation can be brought to transit too. This helps to explain why so much talk of microtransit is so dreamy, so obviously stated in the tone of a sales pitch rather than an analysis. To think clearly in this context, you need to lean into the wind, being skeptical but not cynical about ideas that obviously serve someone’s commercial interest. Fixed routes are spectacularly cost-effective investments compared to almost any flex-route option. They even do better in cases (as in Newark, California above) where the geography is very unfavorable to fixed route success. The reasons for this are geometric, as described above, so technology won’t change them. Recent declines in bus ridership are triggering all kinds of triumphalist claims from people who want to sweep fixed routes away, or at least shift resources away from them as the microtransit movement proposes. Much of this chatter is intended to push transit experts out of the discussion by implying that their expertise is obsolete. The rigidity of fixed routes, the chatter suggests, arises from rigid minds. But the neglect of fixed routes, encouraged at the highest levels, is the real source of transit’s declining relevance. My firm works in cities all over the US, and most of them have appallingly low levels of fixed route service compared to potential demand. In most American cities, the quantity of service is growing far slower than population, which means that on average, the availability and usefulness of transit is getting worse. Most cities, in short, are forcing low-income people to buy cars by making that the only way to have a life, even in places where fixed route service could succeed. In this reality, should transit agencies really focus on ways to move tiny numbers of people more expensively, to deliver them a special “customer experience”, as the microtransit idea proposes? Clearly that’s not the path to ridership. Meanwhile, cities that are forcefully recommitting to fixed routes are bucking the trend of falling ridership, and these show a clear path. Ridership is up in Seattle, despite all the countervailing trends, because of an unusually high commitment to quality service and to protecting fixed routes from congestion — a commitment shared by the transit agency and the City of Seattle. Houston continues to do far better than its Texas peers, partly due to the 2015 network redesign that expanded the bus network’s usefulness. We know how to increase ridership. It’s by offering useful, civilized, and cost-effective mobility to large numbers of people, not obsessing about the customer experience of a few. And while ridership is not the only goal of transit, it’s hard to get to microtransit from any of transit’s other common goals either. I would love to see comments engaging my argument. I’m not especially interested in comments that ignore my argument, or change the subject, or give me dreamy visions of a future where laws of math have been repealed, or lecture me about how I represent tired old thinking. If you’re going to challenge me on a point where I’ve linked to another article, follow that link and read that article, because the meat of that argument may be there. Thanks for your help making me smarter about this. I advise a lot of transit agencies, and I want to best for them and the cities they serve. Izabella Kaminsky at the Financial Times Alphaville blog did an interview with me two weeks ago that was meant to be a podcast. We covered a lot of ground, including microtransit, Uber, Elon Musk, Big Data, and elite projection. I find it agonizing to read in print, because things that make sense in speech look terrible on the page, stripped of all the inflections and pauses that give spoken text its meaning. Lots of people seem to be enjoying it, though. And if a desire to laugh at my run-on sentences will make you read it, that’s on balance a good thing. It’s here. Customers love our new invention! You have to start listening to the customer! How often have you heard this line as though it ended any argument? I certainly hear it all the time as an explanation of why “service to your door” will sweep away large parts of the fixed route transit industry. The answer is: People want all kinds of things that they can’t all have, because those things just too expensive per customer to provide. Wealthier people can have them, but the tastes that wealthy people can afford are a terrible guide to what will work for everyone. A great example is “service to your door,” when applied to dense cities. There is a different issue when applied to suburbs, to which I’ll return in another post. As far as we can tell, neither Uber nor its competitors can make a profit, even though they focus heavily on dense cities where the geography is most favorable to them. Startups have lots of good arguments for why we should wait a while for them to be profitable, but Uber is running out of them. We are not waiting for Uber to scale up; it is already huge. We are not waiting for it to become more labor-efficient; it has already squeezed labor so hard that it can’t retain drivers. We are not waiting for more efficiency in communications; the app already works fine. What are we waiting for? As Len Sherman argued in Fortune recently, the real answer is simpler. Urban transportation is just not a profitable business. Transit isn’t, and taxis and taxi-like services usually aren’t either. 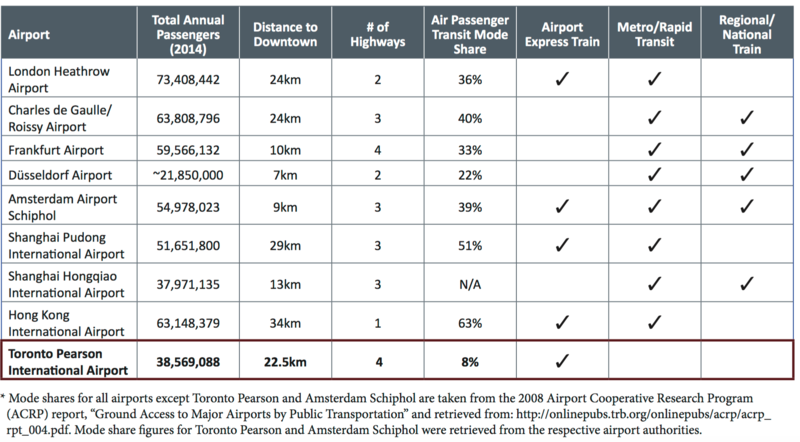 But transit is supremely efficient at one essential thing: it uses scarce urban space efficiently. By contrast, “service to your door” is becoming a new way to strangle our cities with congestion. Congestion is a spatial problem; it will still be there in a coming age of automation. So yes, everybody would like to have service to their door. But the true price of that, in dense cities, is likely to be something that only relatively wealthy people can afford. Pre-automation, labor is an irreducible cost. Post-automation, in dense cities, there will still be the problem of space. Uber and Lyft are already increasing traffic in dense cities that don’t have room for it. If they suddenly become cheaper, the resulting induced demand would be the death-knell for the functioning of cities. Advertising glorifies the tastes of the wealthy, not just to sell to them but to help less wealthy people form unrealistic tastes. “Service to your door” is yet another example of that kind of marketing. And whenever we are told to design things around technologies that only the fortunate can afford, we’re being asked to make a mistake called elite projection. Cities do not work for anyone unless they makes room for transportation that works for everyone. So they must be designed around what works for everyone. They must also be designed around solutions that are financially sustainable, which “service to your door” — when properly priced to account for its inefficient use of street space — is probably not. But is “service to your door” relevant to suburban needs, or to the distinctly suburban “first mile last mile” problem? I’ll cover that in an imminent post. Is this kind of network the future of transit? This map by Stamen Design shows the paths of the various Silicon Valley bus services that flood San Francisco each morning and evening peak. (Linewidth is proportional to frequency.) All these lines running around San Francisco extend south off the map, duplicating each other for more than 30 miles until they diverge to serve different employers in Silicon Valley. The colors indicate which employer. In general, these private buses are open only to the employees of the company in question. These buses carry some of world’s smartest geeks between the manicured suburban headquarters of Google, Apple, Facebook, Yahoo, EBay and Electronic Arts and the diverse, interesting, crowded, messy city that these geeks insist on living in — a distance of 30-40 miles. There is a public transit option in the same corridor, the Caltrain commuter rail line, but it can’t begin to compete with these buses for speed, directness, and certainly the number of transfers required. How should we feel about these privately operated services, which are effectively employee benefits at these companies? My favorite data design firm, Stamen, released a map showing all the private buses that run from San Francisco to Silicon Valley, the elite’s mass transit. Work in one of those places, and you have a wonderful travel experience. Everyone else gets the bus or an underfunded Caltrain. One way for our country’s elites. The car and a crowded highway for everybody else. “The elite’s mass transit” versus “underfunded Caltrain.” Is this really a class divide, with all the perils that class-based thinking implies? These buses have to drive to San Francisco because the geeks on board aren’t willing to buy a big house in the suburbs of Silicon Valley. They want to live in a city, where they step over homeless people and deal with crowds but also have access to all that a city offers. So they’re an unusual elite. If you love inner-city living so much that you’re willing to commute almost two hours a day, then I expect you’re someone who’s happy with the basic proposition of city life. That means that you’re used to being in close proximity to strangers, so I’d guess you’d be a willing passenger on a public transit system if that transit system were useful. So the real story here is not the upscale demands of “elites” but the story of “underfunded Caltrain” and and more generally the way that infrequent, slow and poorly connected transit systems are forcing these big employers to run so much expensive service of their own. The inadequacy of transit between San Francisco and Silicon Valley lies in several things. First, neither the employers nor most San Francisco homes are anywhere near the Caltrain commuter rail line, so using that line requires multiple transfers — often two at the San Francisco end. Second, the line is infrequent, designed for speed rather than frequency, which means that using shuttles between business parks and rail stations always involves the slight anxiety of the bus being late and missing the train. Politically, the problem with this commute is that it crosses two county lines, and in California, where almost all transport decision-making happens at county-level agencies, a multi-county transit problem is orders of magnitude harder to solve. There is little doubt that if Caltrain were all in one County — maybe one the size of Los Angeles County — it would be a vastly better service by now: more frequent, probably electrified, probably extended to make better connections in San Francisco. But split between three counties it has always seemed peripheral to many county-level decision makers, so when its needs have conflicted with another pet project, Caltrain has been consistently shoved aside. Most recently, Caltrain’s future has been made dependent on the California High Speed Rail Project, which will help improve and extend Caltrain only in the context of needing to share its track. It does appear that Caltrain will finally be extended to a downtown San Francisco terminal where most of the city will be one transfer away instead of two. Caltrain may also become a little faster if, as contemplated, some minor stations are closed. But Caltrain will probably never be frequent given the new constraints of track sharing. But why should people have to commute such distances at all? In this case, it happened because a whole mass of companies decided that they all had to have vast corporate campuses that are too big to be in walking distance to anything. The critical mass of Silicon Valley congealed in the high-car age, as early icons like Hewlett and Packard outgrew their garage. Stanford University has always sat in Silicon Valley’s midst like a queen bee, happy to seem the indispensable center of the burbling mass of innovation. Since then every new breakthrough firm, from Google to Facebook, has felt they had to be there. But now, that critical mass is in the wrong place for the needs of the next generation. A few of the area’s suburbs are trying to build downtowns that will give a bit of the urban vibe that younger geeks seem to value, but many of these suburbs are dominated by people who want nothing to change. So it comes down to how the next generation of internet employers choose think about how to attract top employees. Twitter made a courageous choice, moving its headquarters right into San Francisco, but Apple is digging itself deeper, building an even larger and more car-dependent fortress in its corner of the Valley. Finally, this joke is on the lords of Silicon Valley itself. The industry that liberated millions from the tyranny of distance remains mired in its own desperately car-dependent world of corporate campuses, where being too-far-to-walk from a Caltrain station — and from anything else of interest — is almost a point of pride. But meanwhile, top employees are rejecting the lifestyle that that location implies.